Real quick post about what I think about this ZA plate armor set graphic. I think they did an excellent job designing a plate mail clown suit. Hopefully in later patches they will implement some honking rubber horns that you can equip as an off hand weapon or a flower that squirts water as a necklace. 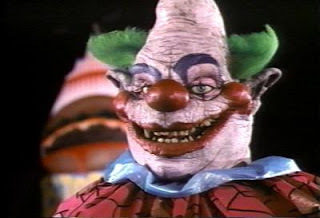 I can almost bet they got the artistic inspiration from that movie “Killer Clowns From Outer Space”. Maybe if I can collect this whole set ill rename my character to John Wayne Gacy and be “Pogo the killer clown” (John Wayne Gacy was a serial killer who had a part time job as pogo the clown for those of you who don’t know). Or maybe there is the possibility me and my fellow warrior guildies could all wear this and pile up on one horse like it was a little clown car? This set looks like hunk of walking SH&T. Maybe with the next instance release we'll get lucky and the plate armor will resemble Care Bears. 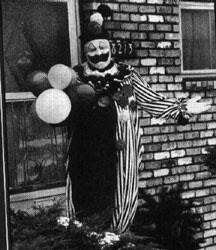 Have i ever mentioned i fu#$ing hate clowns? This set is the one of the gayest things I have ever seen, I’ll wear it for the item stats but hate the way my character looks.